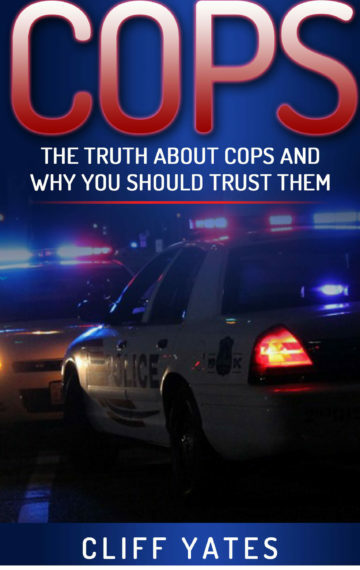 Cliff Yates is a 35 year veteran of Law Enforcement, who gives you an insiders look, at how Cops are recruited, screened and trained. Where do Police Agencies find candidates ? What is the application process like ? How do agencies do background investigations on Police applicants ? What kind of medical and psychological tests do Police applicants go through? What is the Academy like? What is the difference between a Sheriff, and a Police Officer ? Cliff answers these questions and more. The media and Police critics would have you believe that Police agencies are full of racist cop cowboys. This book dispels all the anti Cop narrative we here nightly on the news. Now you will know the truth about our American Cop heroes who are protecting our American way of life. It should give you confidence in our American Police Officers.